Every single one of us lives our lives within a wheel, a circle, a hoop or a web and every single of of us can benefit from learning how to live our lives to the full within it. The problem though, for many of us, is that because we do not belong to the culture of a medicine wheel or wheel of direction, we find that the wheels do not really fit us or we have trouble connection with or remembering the attributes. 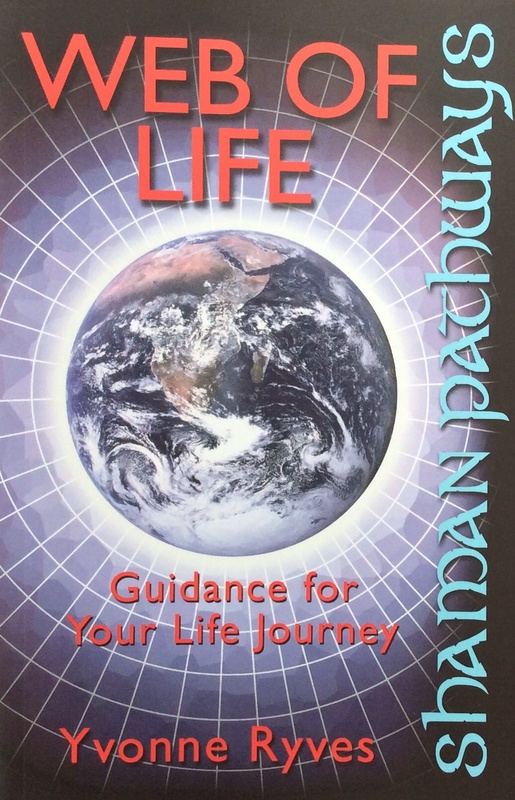 This book provides information, guidance and exercises to help readers find ways to connect with the web of life and weave their path within it. This is my first book and was published by Moon Books as part of their Shaman Pathways series. It can be purchased from Amazon.co.uk, Amazon.com and all usual outlets. Review: I learned so much reviewing this 82 page read teaching me how to connect to my own sacred process, and to see it as a spider’s web. It made so much sense and it felt so freeing to know that I am the author of my own web, that I can make choices that can help me to become the person I want to be. I also found many great exercises that got me clearer about the next step in my life. Review: While this series of books may be small in terms of page numbers, they do make up for this in the distillation of their ideas, simply expressed and clearly stated. Yvonne Ryves discusses the universal symbolism of the Wheel and the Web of life and describes how, in trying to synthesise differing cultural systems she ended up developing something uniquely her own. She shares with the reader methods of building upon elements of a traditional framework to create something that will belong uniquely to you, your own “web of life” which will be a roadmap, guide and an education on your journey through life. She shows how other cultures see the Wheel and Directions in different and sometimes conflicting ways and challenges the reader to evaluate what he or she truly believes. The images if weaving and of a spider’s web are used to great effect as a basis on which to build, to move and to explore one’s inner life in more detail. There are suggestions for practical work in grounding insights, by keeping a journal and making a series of cards. This book looks quite interesting! I want to read!! Thank upon Stacie, I get really good feedback from everyone who gets it and works with it so hope you enjoy it if you do.